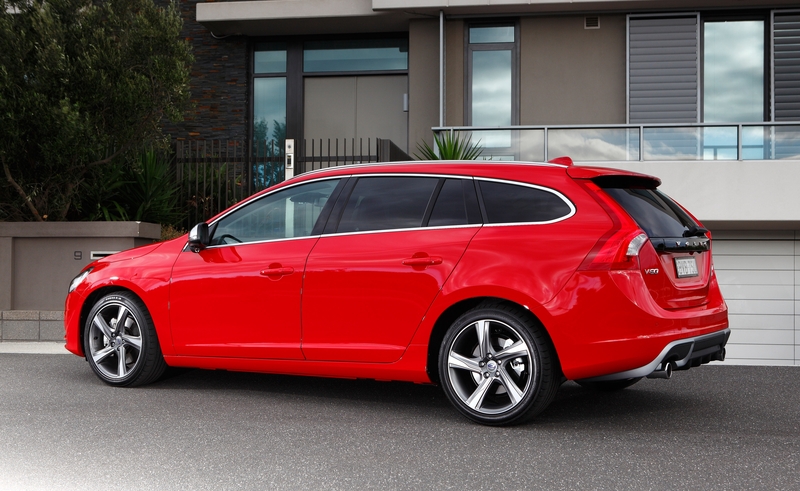 The Volvo V60 is one of the best looking family estates you can buy. It is hands down more stylish than an Audi A4 Avant and it’s better looking than a 3-Series Touring. 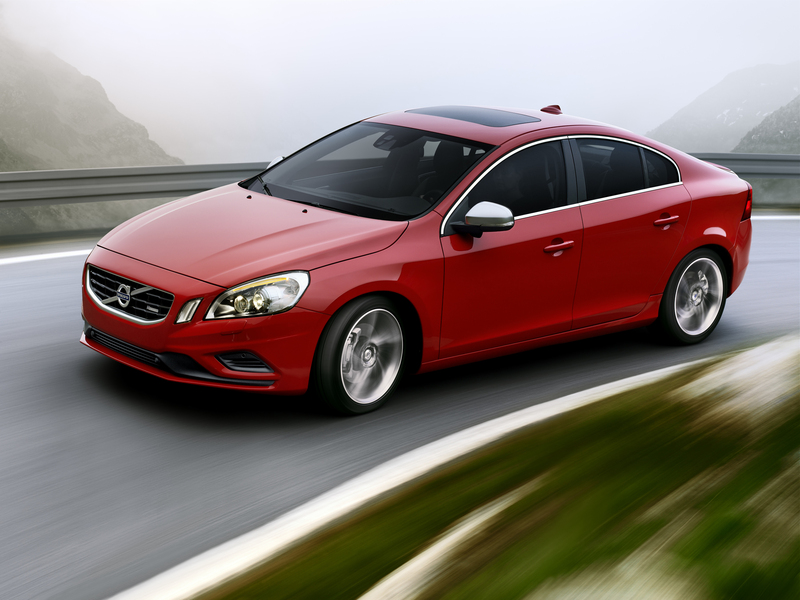 The problem is, Volvo has trouble selling the V60 compared to these competitors in the UK. Volvo is synonymous with safety and quality, but it’s not the most premium badge. For families who want to look the part, then, they’re going to get more recognition for a German rival. That’s a shame. Why? Because with the D4 engine, the V60 is better than the lot. The way the V60 R-Design drives is dominated by the engine. The D4 is a 2-litre turbo-diesel unit that produces 178 bhp and 295 lb /ft of torque. It offers an exceptionally powerful drive, with the sort of power delivery that’s reminiscent of old PD lumps (the mid-range is excellent). It works best between 1500 rpm and 4000 rpm, revving freely. It sounds a little harsh when cold, but once it’s warmed up it has a purposeful growl that’s really rather addictive. Power is sent to the front wheels through a slick six-speed manual gearbox or eight-speed automatic. I recommend the former. With the manual, the D4 emits an incredible 103 g/km of CO2, which is significantly lower than the BMW 3-Series Touring 320d Efficient Dynamics which has a CO2 output of 125 g/km. Thanks to the low emissions, the V60 costs just £20 annually to tax and company car tax is lower than on German rivals too. Vertu Cars Derby Volvo believe that the V60 is the perfect car for families who want a premium drive, but don’t want it to cost the earth to run or tax. The only downside to the way the V60 D4 R-Design drives is that it isn’t rear wheel drive. The car performs well on country lanes and under heavy load, but it isn’t as involving as the experience you get in a BMW. Another thing that dominates the way this V60 drives is R-Design trim. This includes larger alloy wheels and a stiffer suspension than Business Edition, SE, and SE Lux, and it is therefore less comfortable. It still offers a good ride, with little road or wind noise, but in R-Design trim you feel speed bumps and potholes. This is balanced by the sporty styling, though. Inside, the V60 is as premium as any German rival. It is awash with soft touch materials and top quality buttons and switchgear, and the seats are comfortable and supportive. The boot is also huge – you get a full 430-litres of space which can be extended to 1241-litres. That isn’t as good as a 3-Series Touring, though, which has 495-litres of space which can be extended to 1500-litres. Prices for or the V60 start from £21,750, and £24,395 with the D4 engine. The V60 D4 R-Design costs £30,895. Standard equipment includes cruise control, dual climate control, automatic headlights and wipers, auto dimming rear view mirror, Bluetooth, DAB radio. Previous page Previous post: Should You Buy a New Car or Lease?